In this ws I collected some of my tasks about the present continuos tense. This ws is about how to form an affirmative sentence in this tense. 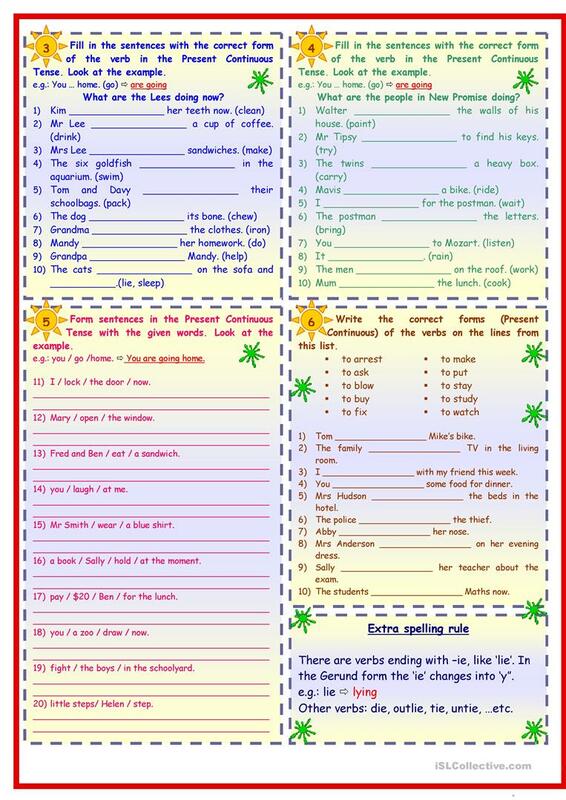 There are 8 different tasks which help the ss learn and practise this tense. On the top of the first page you can find some grammar explanation. The key is on the 4th page. 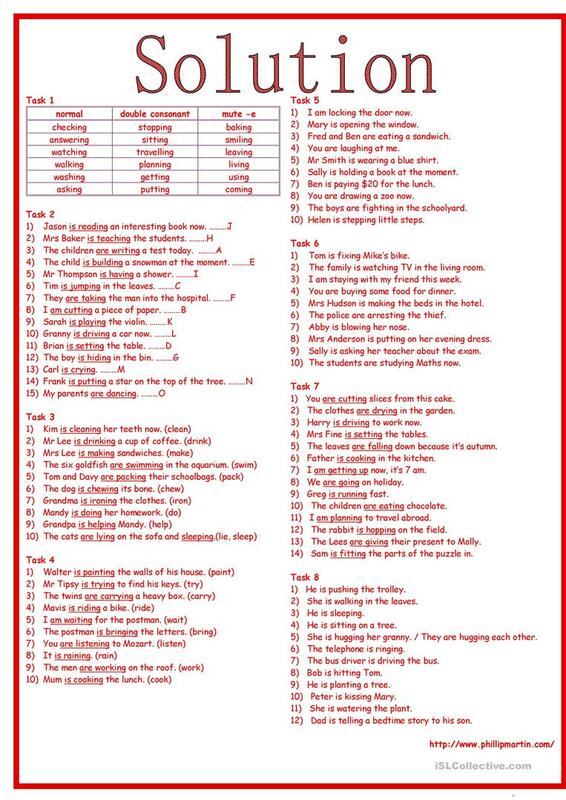 Among the task you can find not only spelling, matching, gap-filling, multiple choice exercises, but also task to practise the word order or to write sentences on your own. Hope you find it useful. The above downloadable handout is best suited for high school students, elementary school students and adults at Elementary (A1) and Pre-intermediate (A2) level. 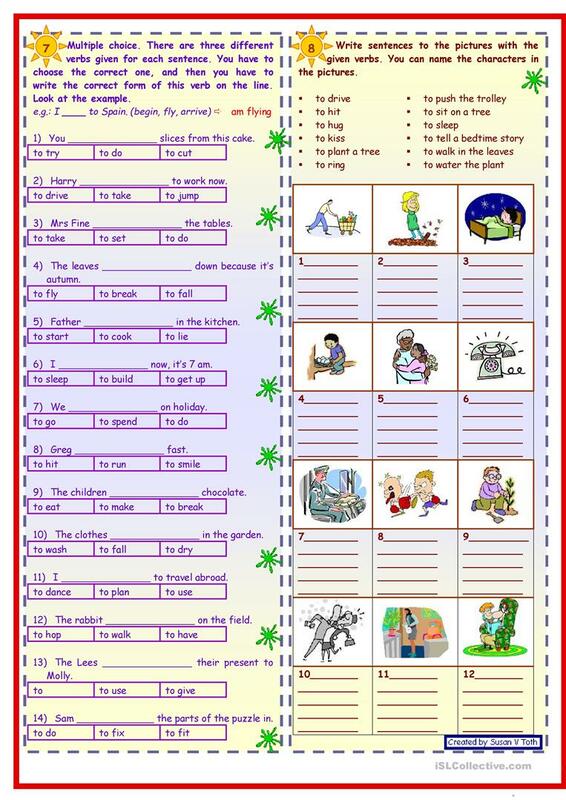 It is a useful material for consolidating Present continuous (progressive) tense in English. There is an answer key provided with the exercises.